We’re in a bit of a lull here. 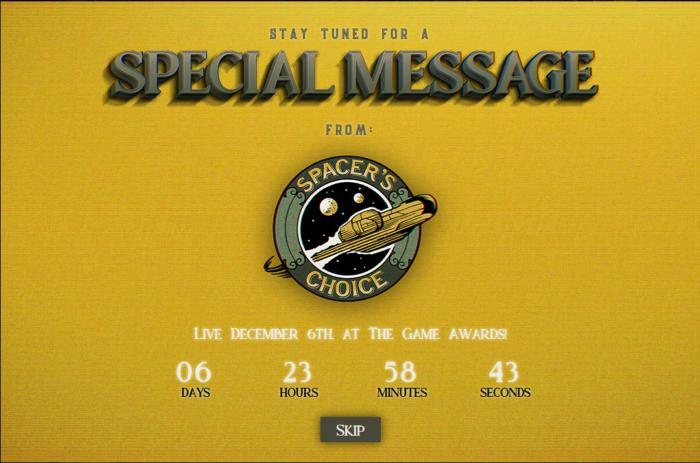 Next week is the Game Awards, a.k.a. that one random point in the winter where we get a bunch of game announcements—and Geoff Keighley gives out a few awards too, if we’re lucky. This week’s all lead-up to that slew of trailers, basically. But luckily we were off last week for Thanksgiving, so we’ve got two slim weeks of news to recap. Turns out two boring weeks is almost equivalent to one good week, so let’s dig into the FTC’s loot box investigation, Obsidian’s new game tease, Dragon Age...something, Life is Strange 2 and Pathologic 2 and the future of episodic games, and more. This is gaming news for November 26(ish) to 30. BioWare’s got a double dose of news this week. First up, Anthem—the game we do know about. It’s set to release in February, less than three months from now if you can believe it. No surprise then that EA’s running a closed alpha December 8 and 9. If you sign up before December 3 you’ll have a chance to participate, though you might want to look over the rules first. Then there’s the more exciting news, which is a potential Dragon Age reveal set for December—perhaps at the Game Awards, though Casey Hudson’s blog post doesn’t say for sure. Keep an eye out for more soon. Just a few weeks ago Microsoft announced it acquired Obsidian, which called into question the state of Obsidian’s current projects. We won’t have to wait long for more news apparently, as Obsidian’s currently teasing an announcement for next week’s Game Awards, most likely the project it’s been working on with Take Two. 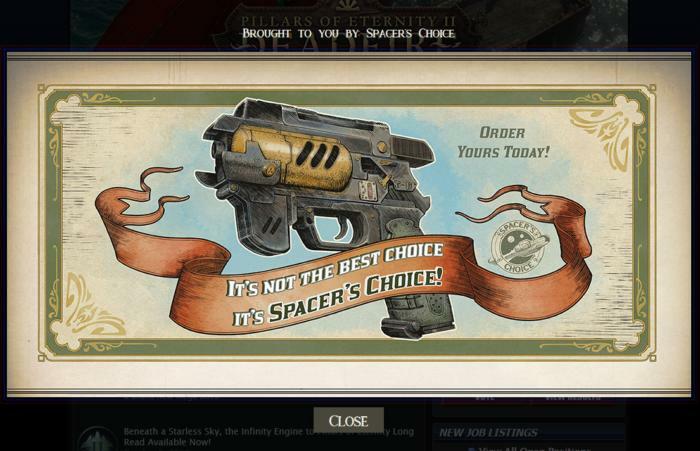 If you head to Obsidian’s site right now you’ll see some odd ads that look vaguely Fallout-esque. Could it be a spiritual successor to Fallout: New Vegas? Or even a spiritual successor to the old isometric Fallouts? Speaking of Fallout, Bethesda announced its first changes to Fallout 76 this week. Some of these had been discussed before, but we now have a timeline and a few more details. By December 4 the stash limit will increase to 600 pounds, which Bethesda admits is “somewhat conservative,” but it wants to see how the increase affects server load. Then by December 11 the PC version will receive push-to-talk and ultrawide capabilities, as well as an FOV slider. There’s more to see in the official blog post, but these are the highlights. None of it really addresses Fallout 76’s fundamental issues, but at least those enjoying it for what it is will have a slightly smoother experience. Anyone still playing Star Wars Battlefront II? Anyone? I’ll admit, it’s been almost a year since I properly checked in on the game. First impressions count, and Battlefront II made a very bad one. But for those who stuck it out, DICE is finally getting around to releasing one of the most iconic conflicts from the original Battlefront II, the Battle of Geonosis. Ewan McGregor is along for the ride too, and those cool six-legged robot-tanks. Are episodic games over? Telltale shut down, Hitman 2 went back to a full-fledged retail release. It seems like the era has passed us by. Not helping matters is Life is Strange 2, the first episode of which released in September. History tells us another episode should be releasing around now, but instead Dontnod said this week to expect a January 2019 release—four months after Episode 1. I want them to get it right, of course, but I also don’t want any game to take almost two years from beginning to end. Hell, I barely remember the finer details of Episode 1 already as it is. Maybe it’s time to retire episodic releases for good. ...Or maybe not. Ice Pick Lodge announced this week that Pathologic 2, the long-awaited remake/reboot/sequel to cult classic Pathologic, will be released episodically starting in 2019. Like its predecessor, Pathologic 2 is a story told through the viewpoints of three different characters and will be released in corresponding chunks—first the Haruspex’s tale, then sometime later the Bachelor and the Changeling’s stories. Can’t wait? Well, you could always play Pathologic Classic HD instead. Mutant Year Zero: Road to Eden is one of the few releases left in 2018 that I’m still anticipating, blending XCOM with a just plain weird post-apocalyptic setting. Up until now we’ve seen a lot of Dux and Bormin, a mutant duck-man and pig-man, respectively. Now, just in time for launch, we’re getting a glimpse of Farrow the mutant fox-lady. Love it. Nier: Automata made its way onto our Game of the Year list last year, despite the PC version being pretty damn busted. And it’s still busted, almost two years later—which makes it a bit bizarre to hear Platinum’s reportedly prepping NieR: Automata – Game of the YoRHa Edition for PC. Will that version run? And more importantly, will the original version finally be patched? We’ll find out soon, I guess. We’ll end on some great news this week: The FTC is going to investigate loot boxes. I don’t know why it took so long, nor what the impetus is to investigating them now, almost a year after the worst controversies have passed and with no impending controversy on the horizon. But it’s happening. Variety picked up the story Tuesday, as Senator Maggie Hassan once again broached the issue and FTC chairman Joseph Simons pledged to look into it. You can watch the exchange below. There’s no indication how far it’ll go, but hopefully the ESA’s spooked. This story, "This week in games: Obsidian teases a game reveal, the FTC pledges to look into loot boxes" was originally published by PCWorld.